The medium is periodic and described using embedded boundaries. 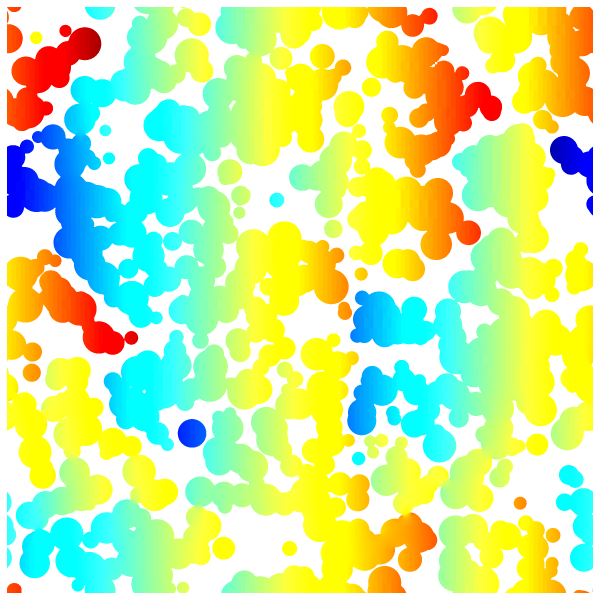 This tests mainly the robustness of the representation of embedded boundaries and the convergence of the viscous and Poisson solvers. We will vary the maximum level of refinement, starting from 5. 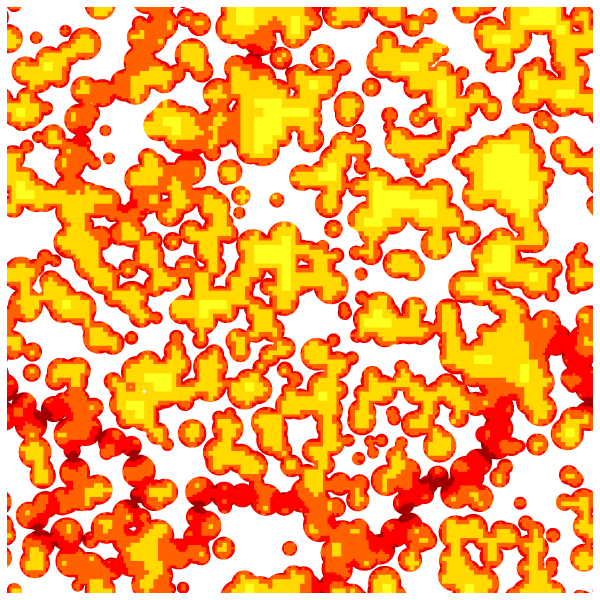 The porous medium is defined by the union of a random collection of disks. The number of disks can be varied to vary the porosity. 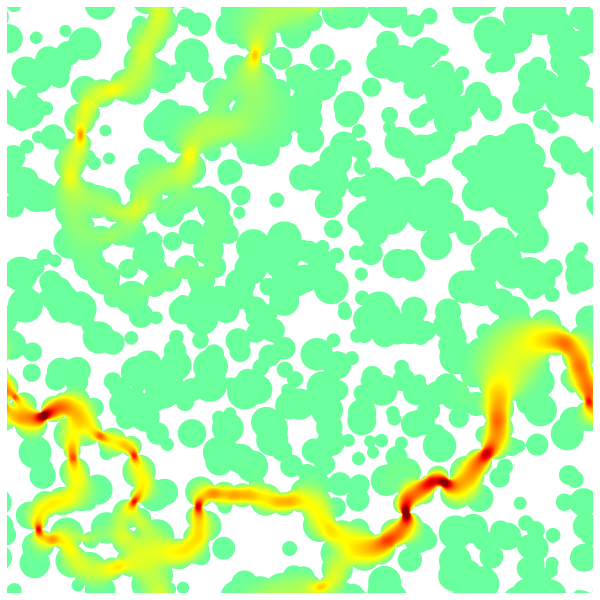 Once we have defined the random centers and radii, we can compute the levelset function ϕ representing the embedded boundary. Since the medium is periodic, we need to take into account all the disk images using periodic symmetries. The domain is the periodic unit square centered on the origin. We turn off the advection term. The choice of the maximum timestep and of the tolerance on the Poisson and viscous solves is not trivial. This was adjusted by trial and error to minimize (possibly) splitting errors and optimize convergence speed. We define the porous embedded geometry. The gravity vector is aligned with the channel and viscosity is unity. The boundary condition is zero velocity on the embedded boundary. We initialize the reference velocity. We check for a stationary solution. If the relative change of the velocity is small enough we stop this simulation. We are interested in the permeability k of the medium, which is defined by U=kμ∇p=kμρg with U the average fluid velocity. We output fields and dump the simulation. We stop at level 10. We refine the converged solution to get the initial guess for the finer level. We also reset the embedded fractions to avoid interpolation errors on the geometry. Norm of the velocity field. Adapted mesh, 10 levels of refinement.